Anyone with functioning brain cells could see that the bidding war for Twenty-First Century Fox Inc (NASDAQ:FOXA) would turn ugly. The two media titans, Comcast Corporation (NASDAQ:CMCSA) and Walt Disney Co (NYSE:DIS), each have their own critical reasons to acquire Fox. That said, the Comcast bid, despite offering a higher premium, faced serious credibility challenges which pressured CMCSA stock. That is, until now. Earlier this week, the federal court presiding over the AT&T Inc. (NYSE:T) and Time Warner Inc (NYSE:TWX) deal cleared the way for its conclusion. AT&T’s bid for Time Warner was announced back in October 2016. At that time, no one really batted an eye. But with President Trump on board, his anti-merger stance, especially among same-industry stalwarts, casted a cloud on CMCSA stock. Indeed, the Trump administration’s Justice Department filed suit against the AT&T bid. But with the presiding court suggesting that a request for a stay would be denied, Comcast’s proposal for Disney got much more compelling. Consider that in December of last year, the Fox board eschewed Comcast’s higher $60 billion cash offer for Disney’s $52.4 billion all-stock bid because the Magic Kingdom was the safer choice. Plus, if the deal broke down due to regulatory pressure, Disney offered break-up fees. The AT&T-Time Warner clearance is huge for Comcast, and possibly for CMCSA stock. However, will it make the ultimate difference? Before we dive into the details, it’s important to note that both companies seek the same prize: Sky PLC (ADR) (OTCMKTS:SKYAY). With Sky, Comcast adds desperately needed international legitimacy to its otherwise broad media portfolio. But Disney also has the same ambitions. Having Sky opens up lucrative sports markets, such as the English Premiere League. You can clearly tell how important Fox’s assets are for Comcast by their recent actions. Management prepared a 43-page proxy solicitation, spelling out the case why Fox should now rebuff Disney. And let’s be real: money talks and the smelly stuff walks. A 19% premium is difficult to ignore, even if you believe Disney is the safer bet. More importantly, Comcast executives addressed the challenges to its bid. High potential for legal clearance? Check. Reverse termination fee? Check. An extremely tempting offer? Check, in extra bold font. Still, Comcast’s bid has credibility issues that will prove at least somewhat difficult to overcome. They’re not kidding. Although Comcast has generally stable financials, its balance sheet will take a hit. Already, the cash-to-debt ratio is levered 0.09 times. Nominally, Disney isn’t that much better at 0.17 times; however, they’re offering an all-stock bid. Plus, Disney has an established history of making big deals work. Notwithstanding the recent Solo: A Star Wars Story bomb, Disney banked billions off the marquee franchise. Plus, their Sky acquisition arguably makes more logical sense in conjunction with its ESPN network. Obviously, Fox stakeholders have much to mull over. On one hand, the Comcast deal is incredibly attractive. Cash is king, and there’s plenty of it on the table. As their management team notes, Disney’s bid has substantial market risk. But on the flipside, Disney’s offer provides the greater potential. That’s part of the reason why Fox initially rejected Comcast. As I mentioned previously, Disney has a history of making big deals work. With Fox’s entertainment assets, they have a formidable media portfolio that works perfectly with the “Star Wars” franchise. Therefore, in the long run, Fox wins with DIS stock. The markets also suggest that the Comcast bid is less attractive than initially meets the eye. Over the trailing year, Disney shares are just above level. But with CMCSA stock, the equity value has dipped more than 21%. Sure, Fox stakeholders can take the cash and run, but Disney has serious growth potential, all things considered. With Fox’s assets, an already attractive Disney becomes an incomparable content beast. And what about those holding CMCSA stock? Although the prospects of acquiring Fox gets the blood flowing, significant risks abound for them. Essentially, they’re mortgaging the future on this one deal. They can’t even figure out the cord-cutting problem. The Fox deal might raise the stakes to an unacceptable level. 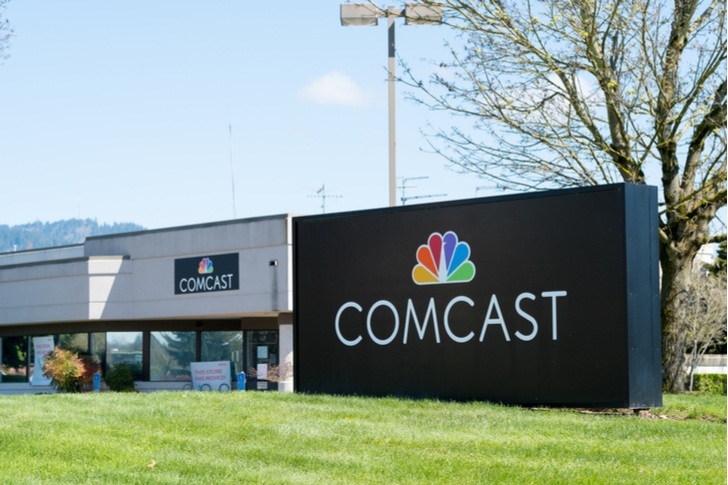 Article printed from InvestorPlace Media, https://investorplace.com/2018/06/comcast-corporations-renewed-fox-bid-isnt-as-attractive-as-it-looks/.